I'm a student as well as a writer of fiction. I've been gluten-free for years and hope to be of help to others on a gluten-free diet. Gluten-free options at Taco Bell. When you're on a gluten-free diet, eating out can be difficult. Sometimes it's impossible. Oh sure, more and more restaurants are identifying allergens or providing lists of ingredients for their customers with special dietary needs, but even when you have such a list, and even when you ask a million questions, you're still left wondering about how your food will be handled. What can you eat at Taco Bell if you're gluten-free? What are some surprisingly gluten-filled items at Taco Bell? What exactly is gluten? How can I know what has gluten in it? What are the symptoms of a gluten allergy? How do I know if I have one? Eating gluten-free at fast food restaurants is a challenge. A few chains have their stuff together and have enough items where one could eat a relatively decent meal, but others have menus that are difficult to understand. 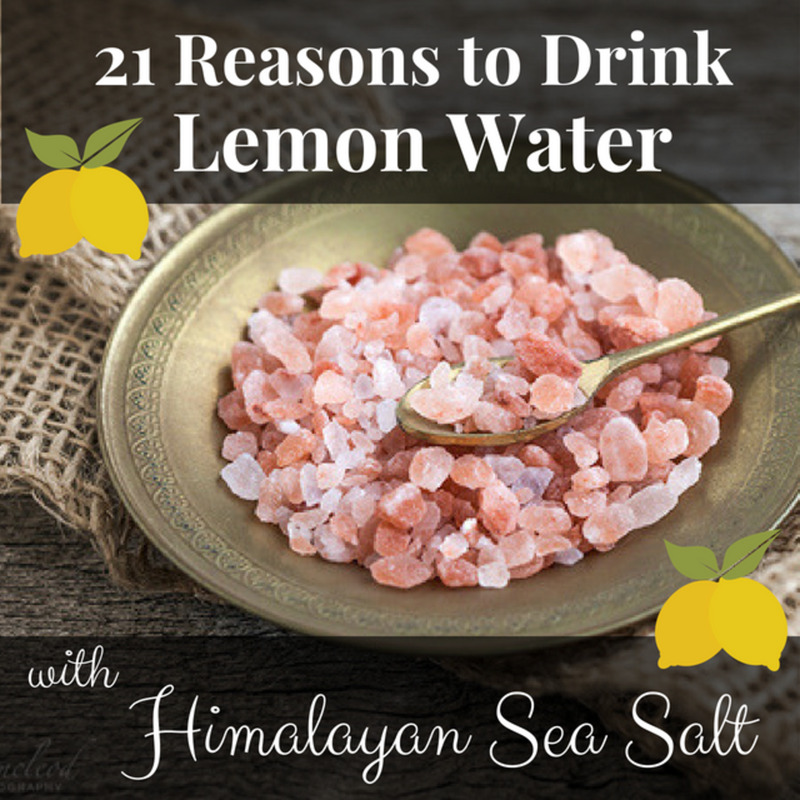 This article will answer all of the questions above in detail. It will also provide a breakdown of the gluten-free options available at ten more fast food restaurants. 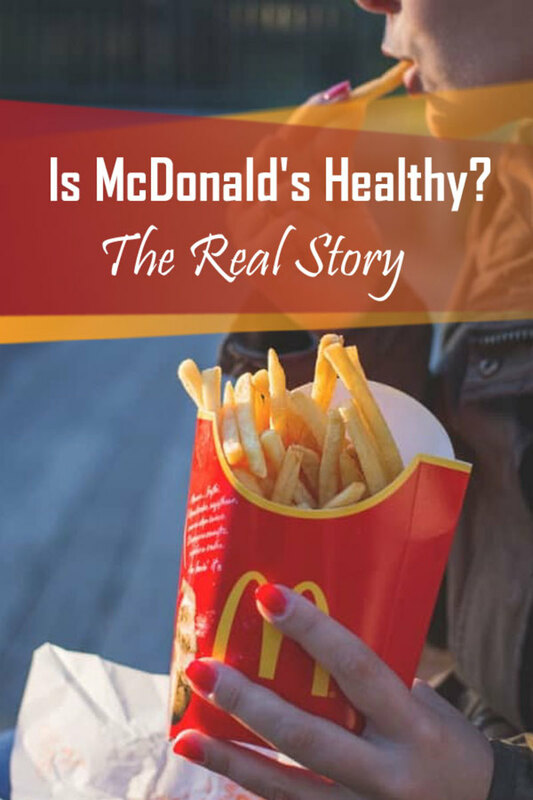 Generally, I would advise caution when eating at these fast food restaurants as much of the food can be prepared in the same area as foods containing gluten, so the gluten can contaminate what is normally gluten-free food. Celiac disease is an autoimmune disorder that is triggered by eating gluten. The immune system attacks the lining of the small intestine, damaging the lining and preventing nutrients from being absorbed. I almost prefer fast food to any "slow" dining experience. I like to be able to see the server preparing everything. I like to be able to ask them to change gloves or use a special utensil if need be, or catch them if they try to put my sandwich on a bun and then just—oopsie!—take it off. Fast food provides a certain peace of mind that I can't get from other restaurants, and while there may be a risk of cross-contamination, I feel a lot more secure watching my sub-par food be prepared than I am trusting someone to remember to leave the bread off my plate at a more expensive sit-down restaurant. 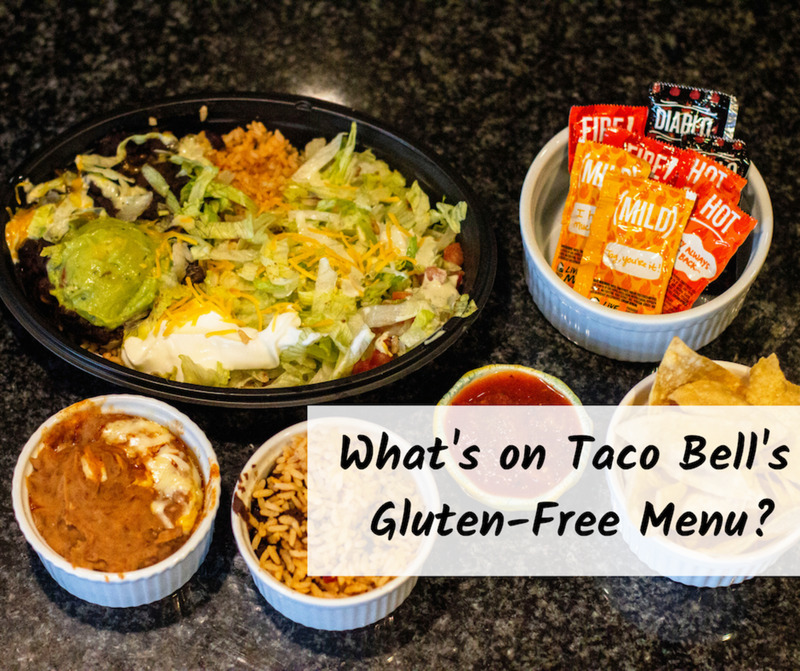 A power bowl and a spicy tostada, two gluten-free entrees at Taco Bell. It used to be that the chips came with a disclaimer that they were probably fried in the same vat as something containing gluten, and I can neither confirm nor deny that this is still the case. Before ordering any chips, you may want to ask your local Taco Bell whether or not they fry their chips in the same oil as anything else. Taco Bell claims that now they no longer fry their chips in the same oil as other items containing gluten. 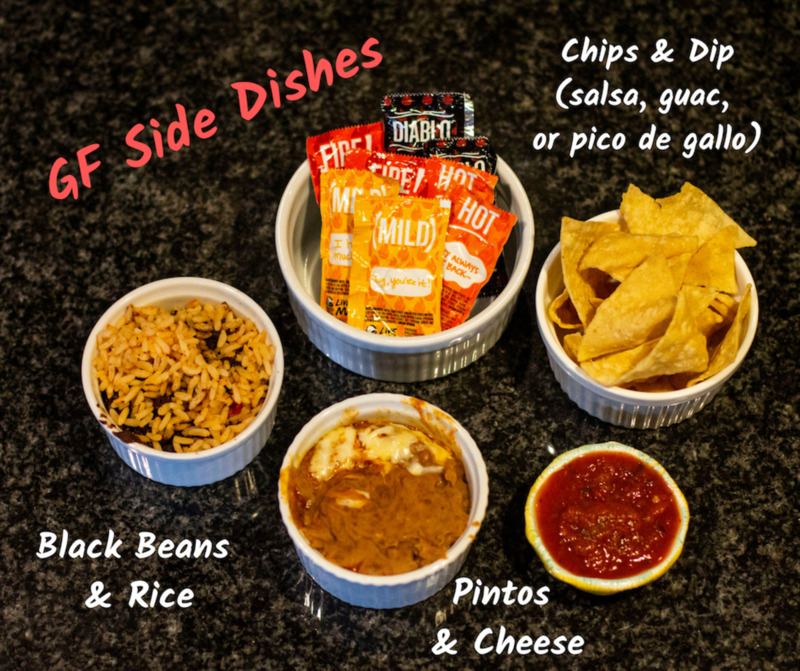 That said, you can choose from all sorts of dips, including nacho cheese, pico de gallo, guacamole, and salsa. There's even a thing called "Triple Layer Nachos" that comes with nacho cheese, beans, and red sauce. It's worth noting that the red sauce was questionable for a while due to a yeast ingredient that no longer appears to be questionable. If you don't like red sauce, you could always upgrade your nachos with various add-ons at an additional cost. Some side dishes at Taco Bell that do not contain any gluten. 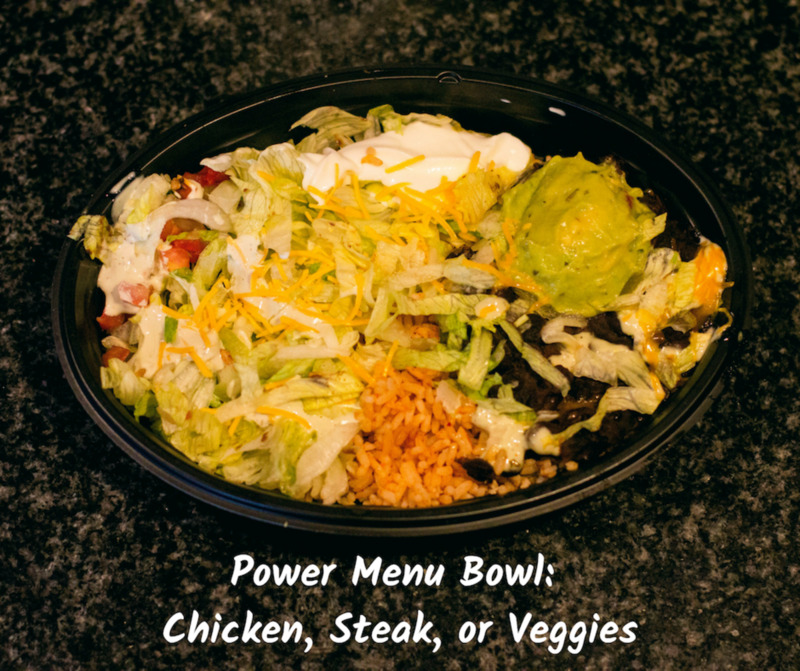 The Power Bowl is a less delicious version of the Cantina Bowl that includes rice, your choice of steak, chicken or veggies, black beans, pico, lettuce, guacamole, sour cream, avocado ranch sauce, and cheddar cheese. Texturally it's pretty mushy with all those wet components, but it's big, and it's filling nonetheless. It's worth noting that at Taco Bell, like many other establishments, you can have your fill of sugary beverages, which will always and forever appear on every gluten-free list ever. They also list their hash browns and coffee as gluten-free, which I suppose is something to keep in mind if you're hungry in the A.M. and all that's available is Taco Bell. If you're looking for something else with a little more kick, the Spicy Tostada is a good choice. 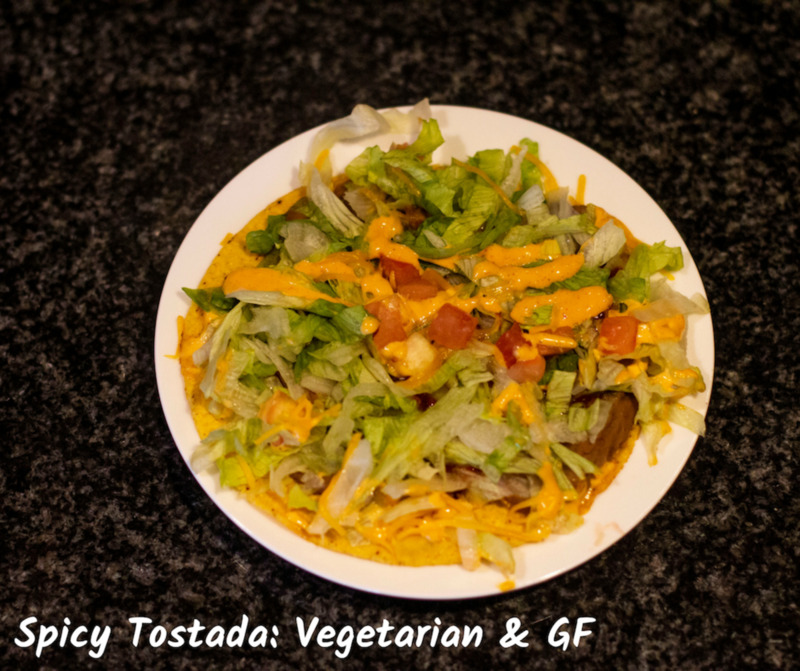 It's a pretty basic dish with refried beans, tomatoes, lettuce, spicy sauce, and shredded cheese on a crunchy tostada shell. The sauce is pretty tasty and the whole thing stays pretty firm though it can be easy to make a mess if you're not careful. Of course, I'm not saying you should eat at Taco Bell every day. Or at all, if you're seriously against the idea, but sometimes you just need food. Packing your lunch all the time gets tiring. Eating $8 organic frozen dinners is annoying. Sometimes you're limited by where you are and what restaurants happen to be nearby. Sometimes Taco Bell is the only fast food option nearby that isn't a salad, and I do appreciate having the option of even just a tub of beans and rice. That being said, if Taco Bell truly wants to be competitive and continue moving in the right direction, having more items like the Power Bowl would be a great step. Even offering a "bowl" option for existing burritos, where someone can throw the innards on a bed of rice (after taking the gluten out of the beef, please) would give the gluten intolerant so many more options. As it is, knowing for certain that there are a few items I can eat is nice (it's a few more than some places have), but they could certainly do better. As far as being gluten-free goes, Taco Bell is somewhere in the middle. There are certainly a few items you can eat if you're eating gluten-free, but the list is very limited. Very, very limited. You might think that Mexican food would be pretty safe. Even fast food-style Mexican food. After all, apart from a few fried items and the flour tortillas, what really contains gluten? While you might have thought a regular ol' taco would be a safe bet because it's safe at any more reputable Mexican restaurant, when it comes to Taco Bell, it is verboten. Yep. You can't even eat the tacos. Except for their new crunchy taco shell, which they claim does not have any gluten in it. Definition: Gluten is a substance present in cereal grains, especially wheat, that is responsible for the elastic texture of dough. A mixture of two proteins, it causes illness in people with celiac disease. 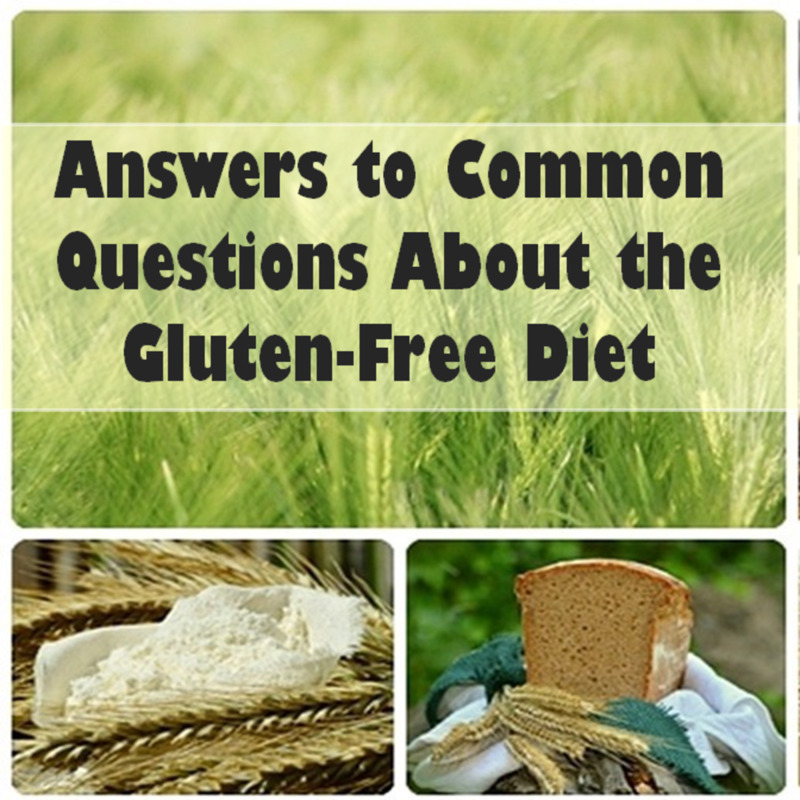 Gluten is the gluey protein that's found in most of our common dietary items. Breads, pastas, cereals, and many desserts contain gluten. 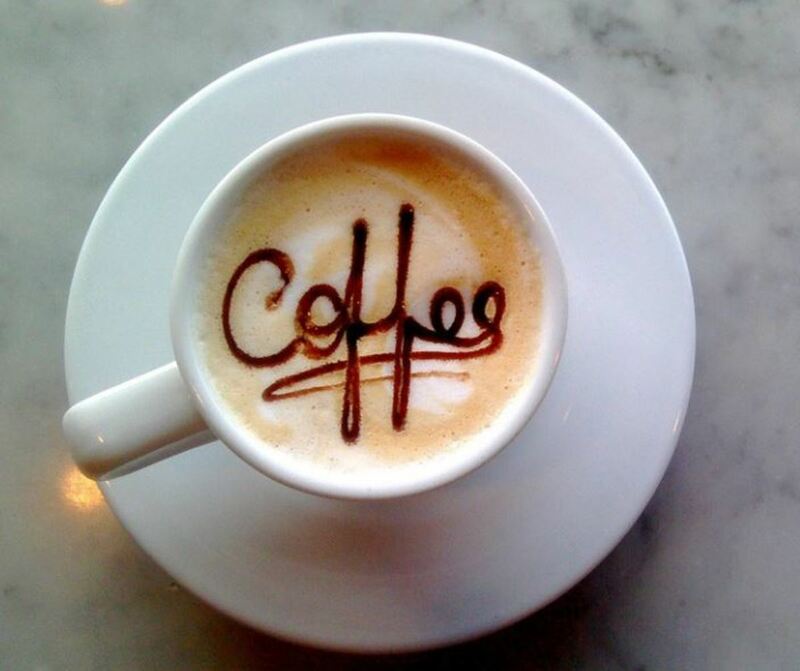 It's essential for making most traditional baked goods because it creates the "fluffy" quality of cakes and muffins. It also binds doughs, giving it a nice moist texture. While gluten might be great for creating texture when making baked goods, for certain people, foods with gluten can lead to severe digestive issues and serious conditions like diabetes, rheumatoid arthritis, and intestinal cancers. 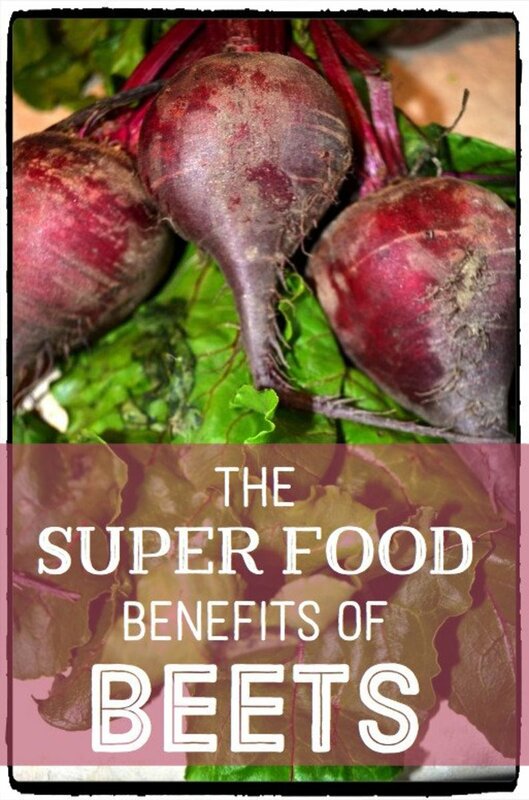 For those with a gluten sensitivity or a gluten allergy, going gluten-free is essential to feeling healthier. Some readers may be visiting this page because they are concerned about whether or not they have a gluten allergy. Having a gluten allergy is a serious condition and, while some folks are going gluten-free simply as a trend, many people suffer legitimate symptoms due to gluten allergies and gluten sensitivity. How Can I Know If I Have a Gluten Allergy? There may be many different causes for these problems, but have you considered the possibility that a gluten allergy or intolerance could be at the root of the problem? If you find that, after reading this list, quite a few of the symptoms seem to apply to you, then perhaps gluten could be the culprit. To test this out, you should try eliminating all food containing gluten from your diet for a few weeks and see how you feel. If you are not feeling much better try cutting out other foods as well and take stock of how you feel over the course of a couple of weeks. Many people have food allergies that they never knew about. Much like gluten, these potential allergens can be hidden in a lot of processed foods so you should make sure to exercise caution when eating out. The chargrilled chicken garden salad or the chargrilled chicken and fruit salad. The tortilla strips are gluten free, and it looks like all of the dressings are okay. The side salad, fruit cup, carrot and raisin salad, and even the cole slaw are all safe for consumption. Before ordering the French fries make sure to ask how they were fried. Grilled chicken strips, but avoid the dipping sauce, apple with caramel, ice cream without toppings, grilled chicken patty. French fries, hash browns, curly fries. Meat patties, grilled/chef's choice chicken patties, ham, bacon and egg, apple slices. There are a few items listed as being iffy–these are risky since they might be fried with other items, so I recommend checking with your cashier or the manager before ordering. Those items are the fries, tacos, and sausage patties. 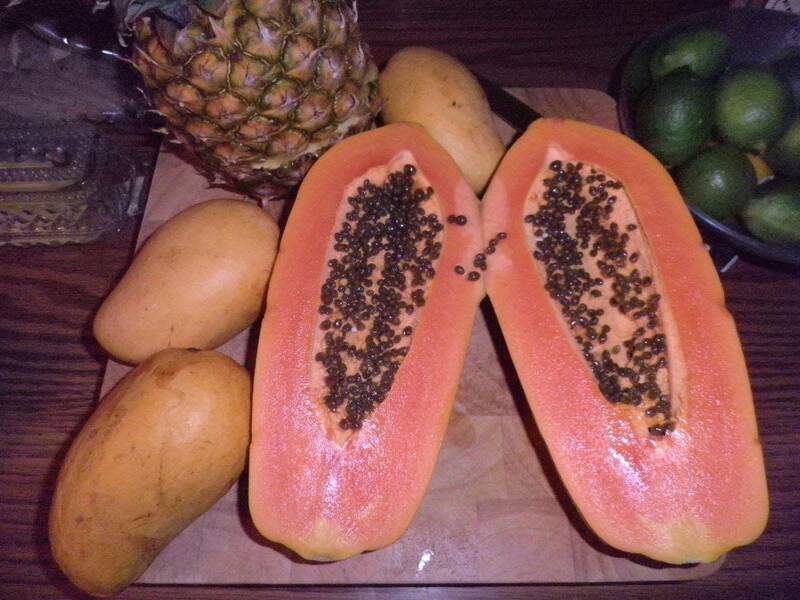 Most salads, black bean soup, broccoli and cheddar soup, most condiments and proteins. Since Subway makes sandwhiches, much of the area may be contaminated with gluten so going there is a risky move. The sweet onion chicken teriyaki salad, seafood sensation salad, and the meatball marinara salad all contain gluten. Most salads if you order without croutons, baked potato soup, turkey chili, Greek yogurt with berries. At Panera you'll run into the same problem: most surfaces are contaminated with gluten, so you have to be careful and make sure that they clean the area where they prepare the food. So long as you avoid the flour tortillas, most other menu items can be consumed. 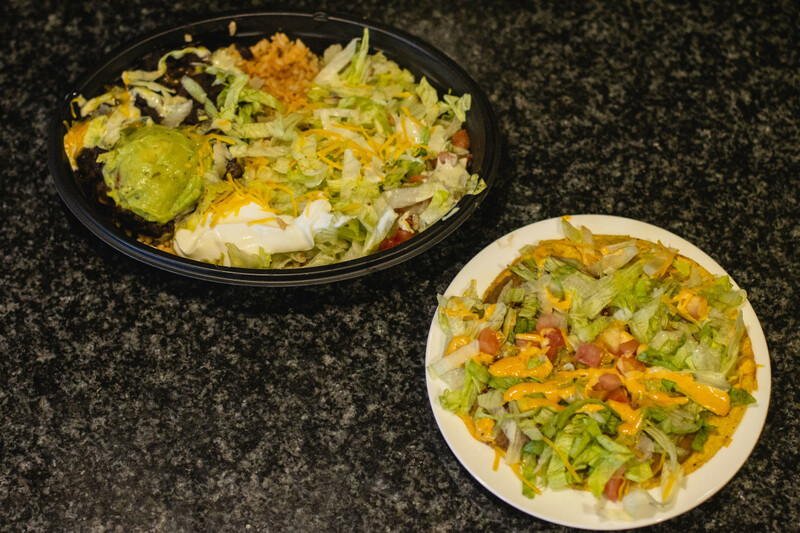 You can make your own burrito bowl and load it up with any of the meat and veggies available. Keep in mind that your food could become contaminated if the workers are using the same gloves they used to prepare the flour tortillas. As them to change their gloves if need be. Bunless burger, bunless chicken filet, any salad without croutons, baked potato, frosty. The fries are also gluten free but they are typically cooked in the same fryer as everything else so they are most likely contaminated with gluten. Burger patty, bacon, breakfast sausage, sliced ham, hot dog, egg, grilled onions, red and green peppers, ice cream, sandwhich toppings. The fries and tots are gluten-free but they are cooked in the same fryer as foods that contain gluten. Get Info Straight From the Source! If none of the items on the list above seem interesting, it might be worth giving Taco Bell HQ a call and letting them know what you think. Sometimes it can be helpful to call fast food HQs to get better answers to share with other gluten-free friends. Thank you so much for this! VERY INFORMATIVE!!! I didn't know the tacos had gluten in them! 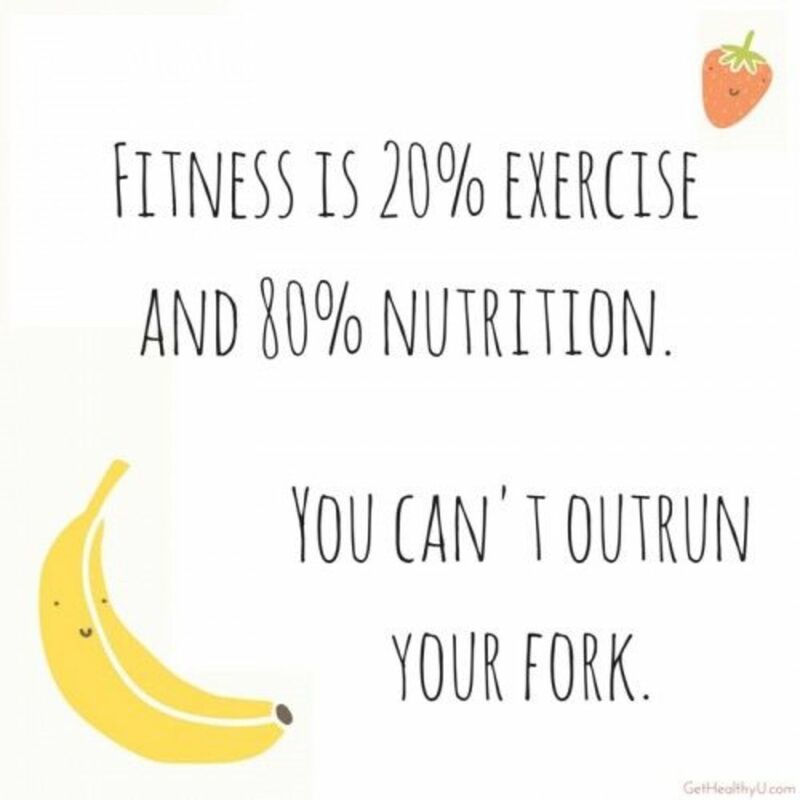 I never eat at fast food restaurants because I assume everything is coated and fried in gluten no matter what but I'll keep this in mind if I'm ever in a bind! Had no idea Taco Bell was on the gluten-free train - that's good to know. I eat there all the time, and now will be buying tacos for my gluten-intolerant cousin.